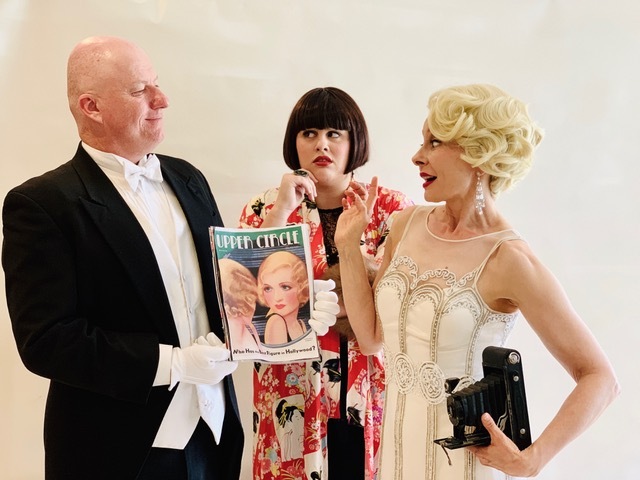 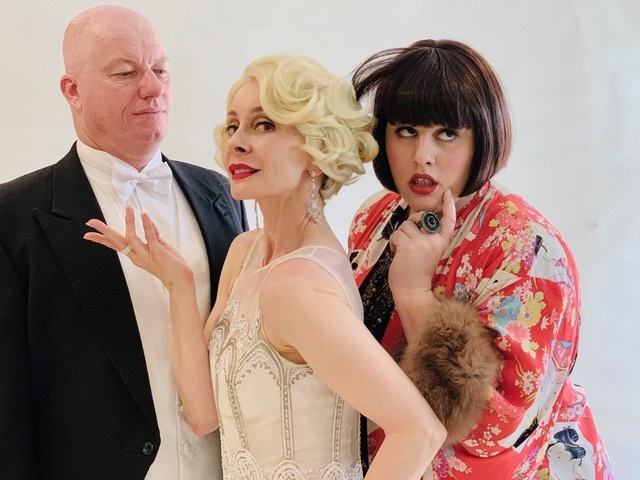 I am very proud to share with you these stunning publicity shots for my short comedy Socialite Networking, which opens at Short+Sweet Theatre Sydney on February 7th (the festival runs to April 15th). 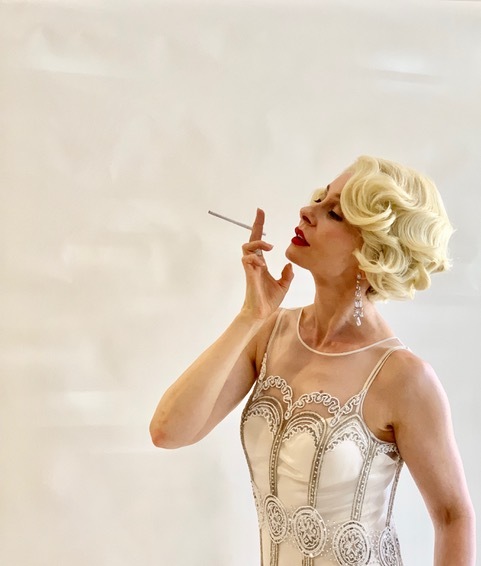 The photos are courtesy of the play’s wonderful director Olga Tamara, and the wedding gown and vintage wardrobe is supplied by the marvellous Rhonda Hemingway Couture. 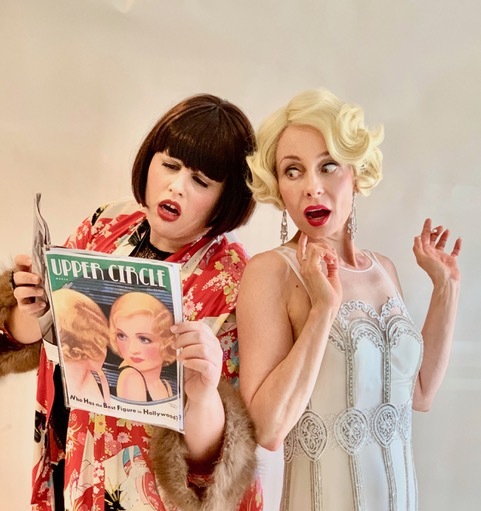 Hot off the press: Kristelle Zibara as Gertie and Rebecca Smee as Duch. 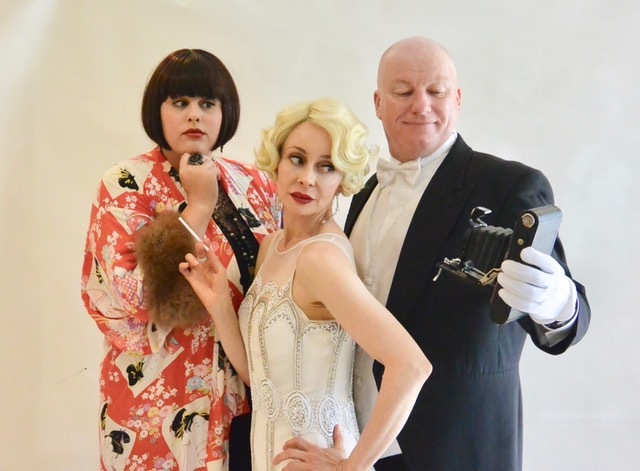 Strike a pose: Antony McShane as Carstairs, Rebecca Smee as Duch and Kristelle Zibara as Gertie.